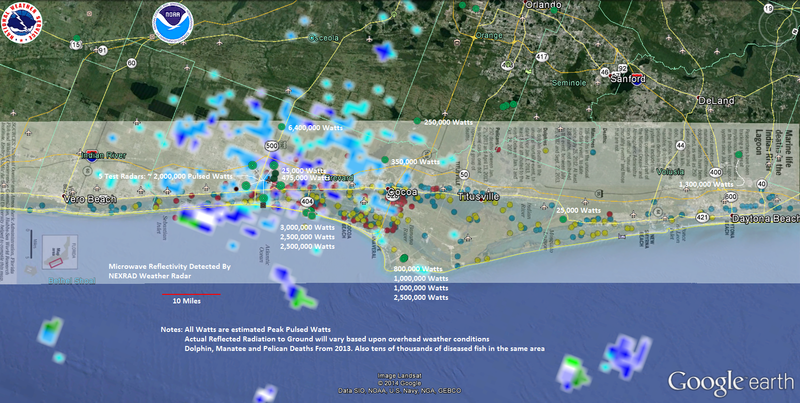 Estimated 2 TERRAWATTS of EIRP Radiation in the Melbourne, FL area from 16 high power high gain pulsed microwave radars. BANANA RIVER IS GLOWING! 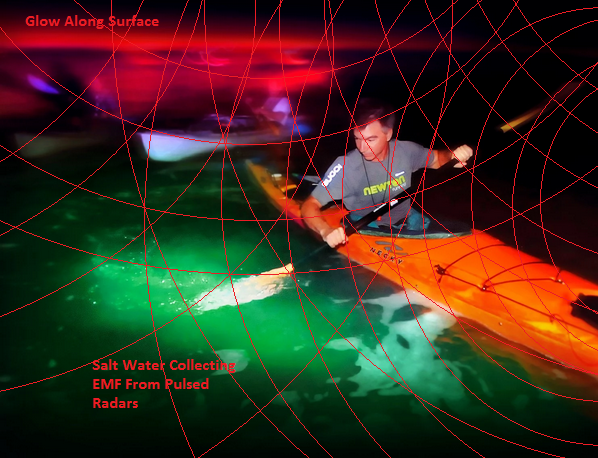 In Florida, a water-pollution warning that glows at night! …It was striking, but also strange: In a region where explosive “blooms” of toxic or nuisance algae have battered fisheries and killed dolphins and sea turtles in recent years, the glowing microorganisms represent another mysterious shift in an ecosystem that scientists say is out of kilter. 2 Terrawatts of EIRP reflecting and bouncing around and getting absorbed by nature = LOTS OF GLOWING, DEAD & DISEASED MARINE BIOLOGY!! 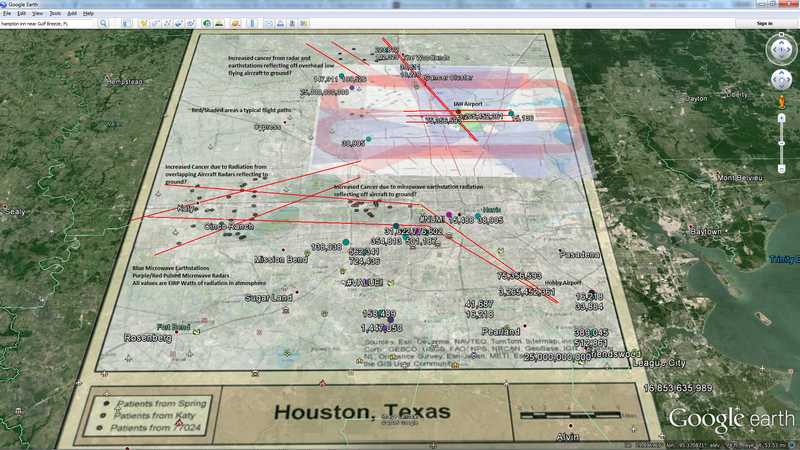 Dumbass Radar Electrical Enginerds and Radar Fissicists don’t know the difference between power and energy!